Imagine yourself playing a mobile game that you absolutely love. You are just about to level up when your phone rings. Simply ignore the call and continue with the game, focussing on gaining that last power-up required to top the charts? Why is the phone call (that may be important) suddenly not important enough to stop you mid-way like you do while working on something uninteresting and divert your attention? It’s because you are engaged in the mobile game. This engagement is what all organizations are trying so desperately to achieve in their workplace. With Generation Y fast approaching the frontline of the workforce, it’s time to understand what makes them tick and outperform in their work. How to keep them engaged and cash in on their advanced multi-tasking abilities? 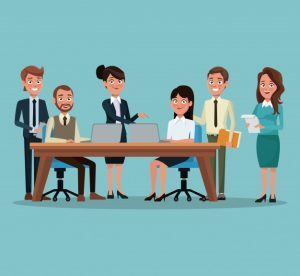 A recent survey by Gallup indicates that 60% of the millennials are open to new job opportunities, thus making them less loyal to organizations and biased towards the quality of work content. Now more than ever before in the history of organized employment, employee engagement has become so critical that it has caught the attention of CEOs worldwide. They believe Employee Engagement is the core driver behind employee-satisfaction, and hence, retention. Stephen R. Covey, author and keynote speaker says that treating employees like customers is the only way to move forward. 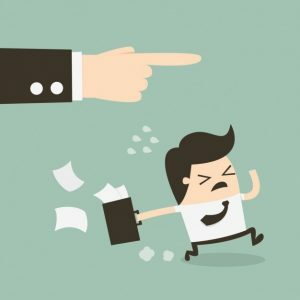 An unhappy employee will eventually result in unhappy customers. 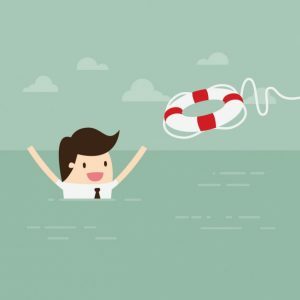 So, how do we keep employees from abandoning the ship or shifting decks? Thankfully, there are proven strategies to keep employees engaged and make them willing contributors for the overall objective of a company. At the end of this guide, you will you will get the Top 5 strategies that you can implement to achieve employee engagement & what’s more – these are absolutely FREE !!! So, without much ado, let’s jump in. 1 What is Employment Engagement? 2 How is Engagement different from Employee Satisfaction? 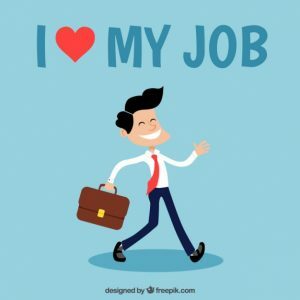 3 Why is Employee Engagement important? 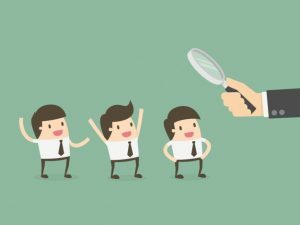 4 How do you identify low employee engagement? 5 What are the Key Challenges faced in Engaging Employees? 6 How to overcome the challenges faced? 7 Why Should you Measure Employee Engagement? 8 How to Properly Measure Employee Engagement? 9 What are the Ways to Measure Employee Engagement? 10 What are the Drivers of Employee Engagement? 12 How do the Leading Organisations keep their Employees Engaged? 13 What can Start-ups do to Achieve Employee Engagement? 14 5 Key Employee Engagement Strategies to implement today? If you search for employee engagement on Google, you will come across a dozen definitions of employee engagement, each more complex than the previous one. 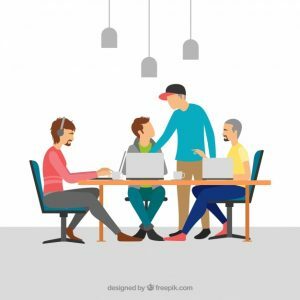 Wikipedia defines employee engagement as a fundamental concept in the effort to understand and describe, both qualitatively and quantitatively, the nature of the relationship between an organization and its employees. Difficult to comprehend and makes you want to leave this topic for the next day, right? Well, read this before taking a decision. Employee engagement is simply the emotional commitment the employee feels towards the organization and its goals. In other words, the personal involvement that makes work matter to the employee. How is Engagement different from Employee Satisfaction? Did you know according to a survey by the Society of Human Resources, more than 85% of the employees are satisfied with their work but their engagement is at moderate levels? On a scale to 1 to 10, the average engagement is 3.8 compared to an all-time high in job satisfaction. While the terms satisfaction and employment are used synonymously, but are, however, very different. It’s true that all engaged employees are happy, but all happy employees are not engaged. The difference between the two lies in their performance. 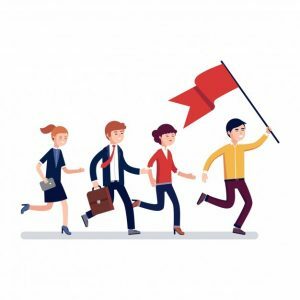 The paradoxical numbers can prove to be a nightmare for any manager, but don’t worry at the end of this guide I will help you with five strategies to not only achieve employee engagement but ensure that it lasts. So, what is the difference between the two? Think about an employee who ticks the box very satisfied in the survey, he is the employee who comes in late, takes an additional hour off for lunch, completes half his targets, takes the full paycheck and exhausts all his paid leaves. He is a very happy employee but is he engaged? Well no, he isn’t an engaged employee for his efforts and performance are not leading to any advancement in the company. The efforts of an engaged employee go beyond the mere contentedness of their job, their objective is to help with the advancement of the company.The two concepts are related, as employee satisfaction provides the basis for employee engagement to come about. Satisfaction in the job can be viewed as the minimum entry ticket requirements to achieve engagement. 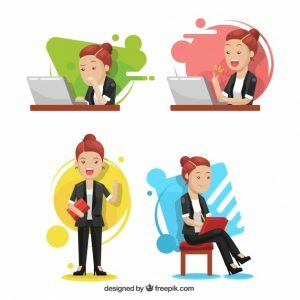 The survey suggests that the top contributors to achieving satisfied employees are benefits provided and the treatment received, however, the ones contributing to engagement are opportunities to use skills and relationship with co-workers. All conversations have highlighted the concept of engagement and what it means to the employee. But why is it so central for an organization to engage the employees? Inspired to do their best, and this motivation helps fulfill objectives and reach goals. These characteristics definitely help create a workforce, full of happy and productive people. What does this engaged workforce then contribute to the company? 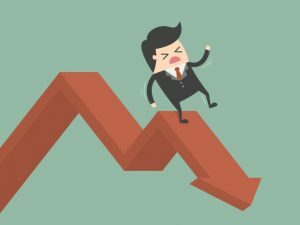 Poor Decision Making: Unengaged employees have a limited outlook on the company and its goals.In short-term their contributions may not be a cause for alarm, but it affects the decision-making process and participation levels in the company. No Focus or Drive: Participation is a pillar for the growth of a company. However, the unengaged employees feel no drive to run the extra mile. For them, it’s just another job paying their bills. This attitude leads to stagnation and ultimately decrease productivity. Leaving little or no room for innovation. Unwillingness to Train: Organizations spend a lot of time and money in training their employees. This ensures the building of a workforce which can be trusted with work and projects. 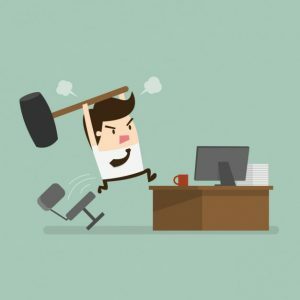 Unmotivated employees are engaged half-heartedly in these training sessions, leading to poor quality of work which therefore brings down the morale. Over Hiring: Engaged employees are willing to work and help the team as a whole. Their motivation and attitude create less need for bigger staffs in segmented departments. This advantage is lost if your workforce is unengaged. Return from Employees Decreases: The enthusiasm of your employees to novelly solve problems, decreases when they feel disengaged. The “aha” moments, and ultimately their performance takes a hit for the worse. Thus, a team of disengaged employees results in over hiring, providing additional training that does not change outcomes and paying a higher salary with the burden of a stale work environment. A thriving environment with a vibrant culture, enthusiastic and involved employees is more likely to retain people. Creating a workspace unique to your company culture will make employees want to spend their time there. Low engagement and turnover have been proven to be correlated time and again. How can you create this office space which reflects your company? Too complicated a job? An office with no cubicles and an open plan helps create an environment that’s non-hierarchical, where open communication and new ideas can be fostered. Is creativity central to your business? Try painting walls with blackboards to help employees work on their ideas, whenever and wherever they get one. Consider adding natural light with skylights or large windows, to create and maintain a fresh attitude. Infuse fun in the workplace by adding a ping-pong table or foosball table. Helping workers take the stress down a notch, will help you raise profits by more than a notch. Make sure, you don’t overdo an idea. The idea is to create a mix of places, which has something for all employees. A quiet place to reflect on ideas, a fun space to let out energy and solitude for moments of peace. Employee engagement can be seen as a power booster fuel for the engine of the company. Engagement affects every person inside your organization, and their individual performance affects the productivity of your organization. Research establishes a link between profitability, customer loyalty, and employee engagement. The passion of employees about their work builds a company’s reputation. This passion comes from the feeling of engagement they feel. It serves as a proof for the new talent joining the company that they will be respected and valued. It also reflects that the team of managers and culture of the company. So, now you know, employee engagement is not just a trend, it’s the building blocks required to run a great business. How do you identify low employee engagement? The survey of Gallup reported that an astonishing 68% of US employees are not engaged in their current roles. While 17.5% within this group characterize themselves as actively disengaged. Actively disengaged employees are actively working to undermine the success of their organizations. These surprising figures incline you to understand how to identify them. Low engagement is like a plaque, which drags down the productivity of the companies. However, at the end of this guide, you will get 5 free strategies which you can implement to achieve employee engagement. 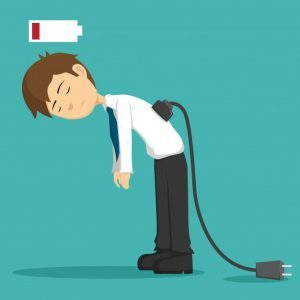 So how can you tell if employees are disengaged? How can you take stock of your workforce and determine whether or not the engagement is truly an issue? 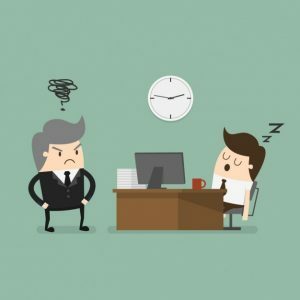 Let’s go over some tell-tale signs of disengaged employees and a few methods for identifying them. A survey is an excellent way to gage and take account of disengagement. Gallup offers a disengagement survey, as do several other companies. You can also design your own survey. These surveys, however, should be anonymous. This means that you won’t be able to pinpoint specific employees who are disengaged. But it will help understand the big picture which is immensely valuable. When the graph goes in the other direction and doesn’t show growth, its a sign of disengagement. From the organization’s view, it is the most serious and costly consequence of disengagement. After all, productivity is a result of individual contributions and day to day work. This makes identifying long-term trends essential. If the graph is showing a continuous decline it may be because your employee is disengaged. Less output, when bundled with low quality, becomes a warning signal for the company. Disengaged employees not only produce less output but often the work they are performing is below standard. A brief increase in errors may be because the worker is overwhelmed, either at work or on a personal level. However, a steady rise is often the sign of an employee disengaging. This because they simply are caring less and less about their work. If you notice an employee who was otherwise involved suddenly withdrawn there is a chance that he is becoming disengaged. They may be going into their own zone and pulling out of work. Of course, some of them are naturally quiet, so make sure you measure them accordingly. Another thing to look out for is the duration of this withdrawal period, if it’s for multiple days or seems indefinite, there is a high chance of disengagement. The best way would be to take a cue in short periods as it might hint at problems. 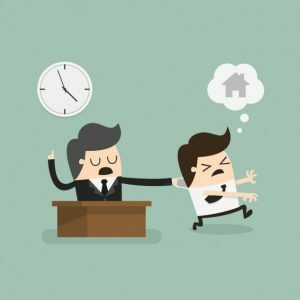 An employee who is expressing his anger towards his team, or managers may be a tell-tale sign of feeling low satisfaction or other issues. If these issues are not resolved, or if he feels unimportant for the company it might cause him to become disengaged. Disengaged employees tend to wander away from their desk more frequently. The time spent in taking bathroom breaks or water cooler may increase. They are consciously deciding to stay away from their responsibilities. Therefore, keeping a general eye on the workspace and checking for such signs can help identify disengagement. If an employee who was mostly present at all events and office-lunches, suddenly shows no interest and avoids events may be disengaged. If it happens for a short time it may be because of other reasons, but if it continues you may want to talk to the employee. One way to understand this would be to invite him out. 8. 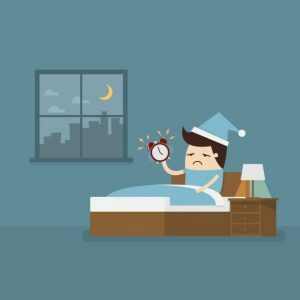 Early to leave and late to rise? Missed an alarm? Too much traffic? Had to run an errand? This may happen to everyone, but if these excuses are used too frequently it might hint at disengagement. Another sign would be frequent family functions, personal commitments, or simple procrastination used to leave early from work. 9. No Sick days left? It’s perfectly normal for an employee to experience frail health and take off from work to get better. However, disengaged employees use their sick days as often as possible. Constant calls on a Monday or Friday by an employee who was relatively looking healthy before he called? This might indicate that he is disengaged and doesn’t want to work or end his weekend. Engaged employees are always on the lookout for more challenges and are often eager to take on new roles and responsibilities. A disengaged employee will, on the other hand, try to avoid any additional work or challenge. do the opposite and will try to avoid any new opportunities or challenges. They might complain about the burden of their work or simply turn down an opportunity. But, monitoring disengagement isn’t enough. You have to take action, this doesn’t mean firing the disengaged employee but actively making efforts to remove disengagement. What are the Key Challenges faced in Engaging Employees? Employee engagement can be seen as a holy grail for the company, then why aren’t companies doing more to engage employees? What are the forces which stop managers from putting in the effort for employee engagement? Yes, pay and benefits or even simple apathy can be the strong reasons. Communication Mediums Used — Sending an email, writing an article in your newsletter, and handing out flyers may seem like a lot of work. But these methods are not effective. Not every employee takes the time to read and understand the message, so the meaning of the content is lost. These tools though easy to disseminate, are often not very timely. In fact, they are often ignored. Top-Down Communication Only — Today’s employee communication is top-down in nature. The hierarchy is visible, in the way employees interact. This leaves little or no space for sharing innovative ideas, or the company does not actively implement ways for the same. They need to be able to interact in a timely manner with peers, subordinates and most importantly the superiors. Non-White Collar Employees — Not every employee can have access to the computer, this may be due to lack of resources or lack of training. Companies face serious challenges in delivering strategic content to non-white collar employees. This becomes more of a hassle, for companies involved in packaging, delivering or manufacturing. Physical distances and Language differences — There are a various number of offices, and establishments owned by multi-national companies. This increases the mix of employees of different nationalities and cultural backgrounds. This results in a need for specialized tailored employee engagement plans. These plans also may find hurdles, as the language and perspectives then become issues. The information and concepts shared may not hold the same meaning for all, making it difficult to have a common vision or goal. 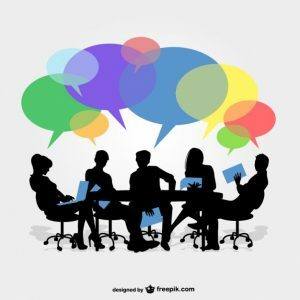 Effective Communications starts with an Effective Leader— The two main controllers of employee engagements are the Human Resource Managers and Internal Communicators. These two sectors need to be working together more cohesively to ensure effective communication.With this, they should ensure a close working net of managers from the IT, marketing, social media and public relations teams to maintain uniformity and avoid confusions. If companies want to build employee engagement programs that, the first step, would be to address these five challenges. The content they curate will be more easily communicated and consumed ensuring a higher return on investment. How to overcome the challenges faced? Identifying the problems is the first step to any solution. Remember your mathematics word problems? 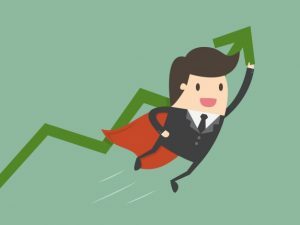 Understanding the challenges faced in employee engagement is just as important as understanding if the sum needs to be computed in simple interest or compound interest. What’s more? Employee disengagement causes the American economy $450-$550 billion a year. The belief that having a good manager will take care of engagement is outdated and a lot more efforts need to be made. The importance of good communication can’t be overstated. So what appears to be a complicated ball-of-yarn problem can be solved using better communication. The various ingredients required for employee engagement, like the company values, well-defined roles, recognition require communication to bind them. Most companies make the error of relying upon and trusting the email system. While email is a fantastic tool, and more a necessary office tool, it’s not the best way for every communication type. There are a number of other communication tools which can be used- some are high-tech, some are simple. For offices, especially smaller ones, morning meeting can be as effective as a morning coffee. It ensures that everyone is on the same page for the day or week. A central meeting space can be used to gather everyone and make use of this tactic. Need a bigger space for accommodating all employee? One possible way is to have an “all-hands” meeting. For bigger organizations often, this is marked as an essential part of the communication weaponry. A town-hall style forum can be used, led by senior managers, where, the updates, vision, current targets can be discussed. A great way to ensure high efficiency would give employees an opportunity to ask questions in a public forum. The CEO’s of big companies are availing the idea, of being available for a certain duration of office hours. 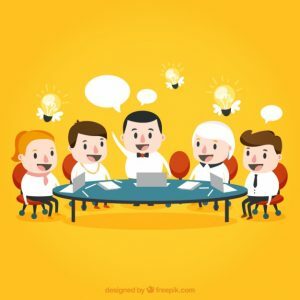 This is done so that any employee can drop in or schedule time with the CEO, to ask questions, suggest changes or even pitch new product idea.Employees appreciate the accessibility and feel that their ideas and they matter to the organization. For the Ceos, these sessions create value, by giving him an outside perspective and insights into the brand and product. So, this strategy is a win-win situation for both. Facebook and Twitter might be synonyms for Social Media, but here I am referring to platforms built for office communication. The information shared on these platforms not only go viral but is the perfect solution for communication problems. You can install software like GroSum Mobile Feedback, Yammer, Slack, Tibbr, Jive, Salesforce Chatter and others, specially curated with the purpose harnessing the power of social media in your office. It’s important to foster a culture in the company, where each employee feels valued and cared for. This problem is so difficult to overcome in small companies, having offices at one location. This same problem becomes 100 times more difficult with a company having offices at not only different locations but in different countries. So, what should these companies do? Should they take a global approach or a local one to build engagement in its global workforce? 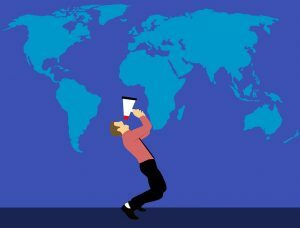 Research finding indicates that the drivers of engagement for each country are different along with differences in employee perceptions about work-often very drastically different. But, a core set of drivers for engagement is emerging globally. “Intercultural sensitivity” is about understanding the deeper impact of cultural difference on how we interact with other people and the effect this has on one’s own perceptions of other people. This concept is equally important for individuals, teams and entire organizations. To gain the necessary awareness and competence, a combination of formal training and on-the-job exposure is required. A person’s experience of cultural difference both helps form understanding and constraints on how the individuals interact with other people. Moving beyond these individual experiences is important for the development of intercultural competence. Understanding the stages of cultural sensitivity will help remove common obstacles. To transform the “foreign” workers to “domestic internationals”, requires them to be trained in different languages, in the do’s and don’t to another culture, preferred way of communication in a culture. In a way which overall increasing their cultural intelligence.The HR managers can make it a smooth sail for any “Outlander” by ensuring enough training and practice grounds. For instance, they can organize a global leadership development course, which consists of mentoring programmes, virtual multicultural teams, and opportunities to visit global worksites. 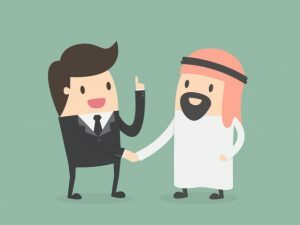 Making friends at a workplace is important, but making friends in a new country is necessary for your own survival. The manager’s effort to build a good relationship with a new entry, and helping him fit-in will go a long way in making him engaged. One great way to start this process would be learning to pronounce your employee’s name. Or maybe sharing food with your new employee. You never know you might discover a delicacy which surpasses your favorite meal? A good leader can be the catalyst you are looking for, to make the magic happen. But who is the best leader to lead your team? How can you harness his or her power? No, I am not referring to eight different managers, but one manager with all these qualities. Well, the list of characteristics, include simple skills which can be easily developed. The strategy should be to look for potential leaders, train them and fill gaps-if any. 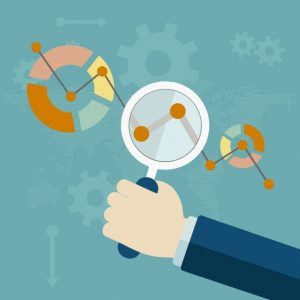 Why Should you Measure Employee Engagement? 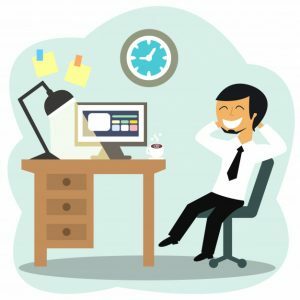 It’s already established that happy and engaged employees lead to higher productivity. A study by Wyatt Watson found that companies that have highly engaged employees produce 26% higher revenue per employee. 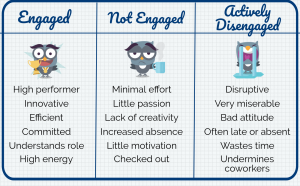 But what does highly engaged or disengaged mean? How are these levels defined? Why is the definition of these levels important? Why isn’t it enough to just ask your employee if he is engaged or not? No, because by committing to measure and improve engagement, you’re showing employees that you are truly concerned.It shows that you are making efforts to ensure their well being. Measurement is the first step of the ladder to reach employee engagement. You can’t fix something if you don’t know it’s broken. Measuring engagement and understanding the levels will help you analyze the factors working in favor or against your efforts to achieve happy and invested employees. The surveys and methods utilized to measure employee engagement highlights and bring to limelight the human side of the organizations. This is a reason why it has become an essential part of a manager’s toolkit. It allows drawing insights into the employee’s head, the same people who create the magic inside any company. 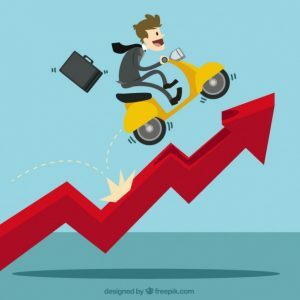 With this is the detailed breakdown of data in terms of division, location, manager, or team will enable to remove hurdles causing a slowdown in performances of employees and identify drivers of employee engagement. How to Properly Measure Employee Engagement? If you were asked how engaged are you in activities at home? Is it more than your involvement in your workspace? What’s the rate of these engagements on a scale of numbers? If you answer 6, what does this mean? Finding it difficult to answer, right? This is because engagement is an emotion. It’s difficult to put a number on emotions. Consider being asked about experiences in the activities, What made the activity interesting? Or did you at any point feel like leaving it and concentrating on something else? Or were you feeling happy while working on a project? These questions help infer your involvement. This is why the most common method to measure employee engagement is using surveys. The surveys employed can be off the shelf, proven employee engagement tools or it can be a made to order solution suiting needs of your organization. 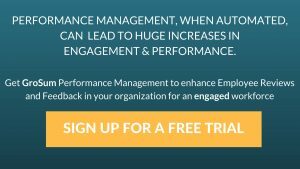 Using generic, well-proven employee engagement tools such as Gallup Q12, enables you to draw on a broad database of comparative data that can be used to benchmark engagement of employees against similar organizations. It’s an excellent measure for validating the effectiveness of employee engagement programs. However, this effectiveness comes with a hefty price tag on it. 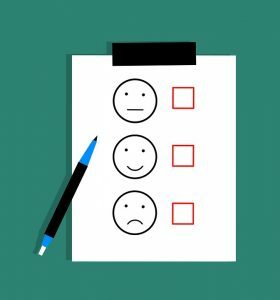 A bespoke employee engagement survey enables absolute flexibility as it measures exactly the most important elements of employee engagement within your organization. A clear picture can be obtained as to how employee engagement is evolving by repeating the same tailored survey at regular intervals. The drawback is that it is not possible to accurately benchmark against any other organization-wither internationally or by sector. But what questions should you ask your employees? 1. Do I know what is expected of me at work? 2. Do I have the materials and equipment I need to do my work right? 3. At work, do I have the opportunity to do what I do best every day? 4. In the last seven days, have I received recognition or praise for doing good work? 5. Does my supervisor, or someone at work, seem to care about me as a person? 6. Is there someone at work who encourages my development? 7. At work, do my opinions seem to count? 8. Does the mission/purpose of my company make me feel my job is important? 9. Are my co-workers committed to doing quality work? 10. Do I have a best friend at work? 11. In the last six months, has someone at work talked to me about my progress? 12. This last year, have I had opportunities at work to learn and grow? 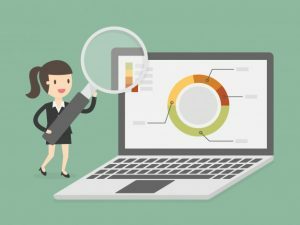 Is a survey enough to measure engagement? Asking your employees, once or twice a year about their feelings and activities is not enough. In this day and age, when all of us have the pulse to get on with new trends and live it all up.It’s important to know the “pulse” of your employees, to keep them interested and involved. And, surveys alone are not going to hack it. What are the Ways to Measure Employee Engagement? Read on, to know a few ways you can use to measure employee engagement on a regular basis. A student who likes attending school has good attendance records and better grades. The attendance percentage and overall performance are directly related to his involvement in school. Unsurprisingly, the same hold trues for employee engagement. 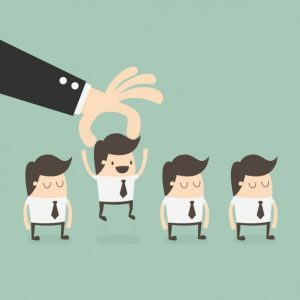 A study suggests that you should aim for 10% or lower for employee turnover. Like the name suggests, pulse surveys are quick surveys designed to understand the health of the company. It’s super easy to administer and score. The number of questions ranges from 5-10, asking employees about how they feel working in the company. The frequency of the survey should depend on the effectiveness of the company to act on the feedback gathered. One on one meetings is a great way to foster better employer-employee relations. It proves as a great measure for measuring employee engagement. For these meetings are safe and more details.Allowing you to get a real sense of what’s going on with them. The key is to remove fear so that the employees can open up. This step by step guide will help you crack the code. eNPS (Employee Net Promoter Score) is a snapshot of employee loyalty and engagement within their company. By asking a simple question “On a scale of zero to ten, how likely is it that you would recommend this company as a place to work?” you are able to classify employees. 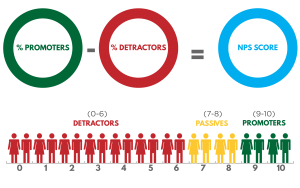 The ones who score, 9-10 are “Ambassadors”, 7-8 are “Passives” and 0-6 are “Detractors”. It’s important to know what you can do to improve employee engagement, but it’s equally helpful to know what you’re already doing correctly. Conduct interviews with your already engaged employees, to answer the question why they stay? 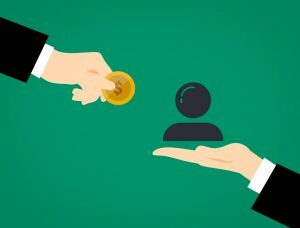 Exit interviews are great to collect formal feedback, but it is too late for you to do anything for the outgoing employee. On the other hand, having a casual conversation to understand the motivation of your employees helps. 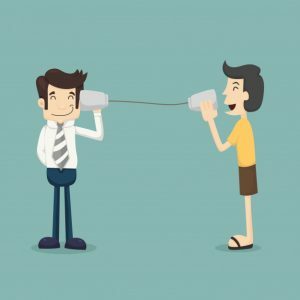 Do you think you share a friendly relation with your manager? What is the one thing that gives you “Monday-blues”? Will you recommend your friend to work with us?? What are the Drivers of Employee Engagement? What’s next? Measuring was the first step. As an organization, you need to ensure continuous improvement of engagement. You need to understand the drivers of employee engagement for improvement and keeping disengagement minimum. It’s a simple concept, you’re proud of your company so you will work hard to continue being proud of it. This pride comes naturally if you ensure alignment of your employee’s vision and long-term goal with that of the company. For this, the “why” of the company has to be clearly defined. For some companies, their objective of why they work can be summed up in a line, and for some, it’s more implicit. This objective should be made the reason for employees to ditch their beds and get to work. Simon Sinek demonstrates in his widely popular TED Talk the power of this ‘WHY’ and how it can be used to drive the What and How. 2. 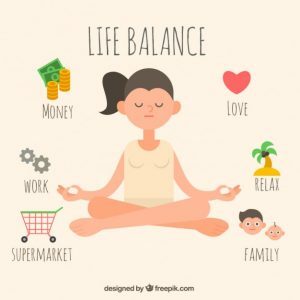 Personal Growth: What’s in it for me? Employees need to feel that they are continuously growing and improving, both personally and professionally. If the work-force feels like the work is stagnating and hitting a plateau, they will not feel like giving in their best. For, there is no rise resulting from their efforts. Like most factors, there is an emotional component to personal growth which supports engagement directly. The growth of the company and community is desired, but you have to look after their self-interest as well. This makes an atmosphere of continuous growth not only desirable but necessary. The work culture has evolved from being authoritative to being inclusive. Making executives comfortable to be themselves. Likewise, individual employees are also relaxed. This comfort of being “true selves” enables to build personal bonds. Recently Gallup found that close work friendship boosts employee satisfaction by 50%, while people with a self-described best friend at work are seven times more like to be fully engaged. Corporate social responsibility is on the rise, its place in business is often questioned. Skeptics argue that building the core value of social impact is against the nature of profit making. But valued employees-like human beings in general- love to feel that they are helping others. Altruism is on its own a reward, enabling employees to use their social conscience at work. This, in turn, fosters feelings of growth, meaning, and pride. A study found that management consultants who participated in a voluntary social impact initiative at their firm were up to 32% more likely to stay with the company as engaged employees. Do you think your employees are paid fairly? are you paid fairly? Do your employees know that they are paid fairly? The perception of employees towards their work is as important as how they perceive the returns they get. It’s common for employees to feel that their pay is less compared to the efforts they put in. Or that their colleagues are getting paid more for the same work. How do you then change this perception? The only way is to be transparent. The employees should know how is their pay decided? How can they maximize it? Another way is to increase incentive pay, this not only improves engagement but also makes the employee feel recognized and valued. Showing concern for your employee’s health is not just limited to being a nice gesture. The Harvard Business Review found that on average, employees who invested in comprehensive health and wellness initiatives saw a nearly 3 to 1 return in money saved. The health campaigns are a brilliant idea, as it plays a role in creating the oh-so-important emotional connection between employers and their employees. One caution is to encourage participation in these activities but always keep it voluntary. In order to build this, the campaigns have to become a part of the fabric of the company’s culture. Focusing on one-off perks won’t yield benefits. The quality of your management team holds the power to make or break employees willingness to be engaged. Great managers make bad environment bearable, and a great manager with a great environment-trumps all card.This is because the relation employees feel with their managers is directly related to their feelings of belongingness. 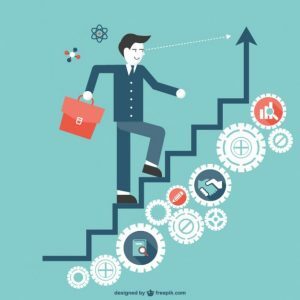 Thus, by focusing on hiring and training stellar managers, you can harness significant increase in engagement and retention capapbilities of your company. Leaders are the ones who steer the company’s growth by providing it direction and a sense of purpose. If the employees don’t have faith in the leader, they will always be apprehensive about giving their all. The daily habits, demeanor, participation levels, and communications of CEO’s and senior managers set an example.This example has a trickle-down effect and ultimately, influences everybody engaged in the company. 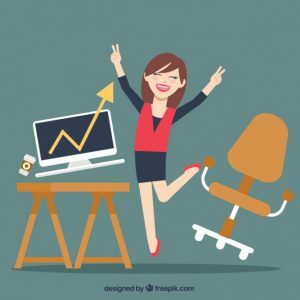 You read a dozen articles, came up with numerous strategies to try, but still, you calculate that the employee engagement in your office has not increased? Nothing can be more frustrating than not achieving desired results. The myths of employee engagement are a common reason why Managers despite all efforts, and researchers cannot crack the code to employee engagement. While providing opportunities to employees to work from home on their discretion, may benefit them for short time. Ultimately, this leisure backfires as they are not connected with the day to day activities with the company. It sure does avoid hassles of traffic, and neat code, it also results in missed opportunities and low motivation. Research shows that remote workers with flex time schedules receive less coaching and mentoring. This results in less institutional knowledge and in turn, low productivity. Money is a strong incentive for people to work, but it is not the only initiative. Also, it should be understood that fair and equal pay is not a bonus, but a necessity to maintain good work culture. For years, managers have tried to increase the economic incentives to solve problems of retention and engagement. But, this may work for a handful of people. Most organizations are finding that employees are looking for more than just good pay for their jobs. For people want a workplace which rewards them in terms of more educational opportunities, challenging projects, and a sense that their career path is growing. “With great freedom, comes great responsibility”. This dialogue, from Spider-man, holds true. It’s true that some amount of space should be given to each employee, to showcase their individual strengths and innovations in their work, but complete hands-off management will leave them directionless, and prove to be de-motivators. Also, it should be realized that not everyone prefers autonomy. For some employees it may turn out to be a true benefit, for some a nightmare, making them feel that their work is a burden. Um, confused? Well, it’s simple, get to know your employees, and what works for them before you decide to give them complete freedom. I have already emphasized the importance of value creation and personal growth the Millennials are looking for in their jobs today. An employee spends around 10-12 hours of his 24 hours daily in office, if he feels it’s just a job he will never evolve. This feeling of stagnation is the worst nightmare of the workforce today. The work has to add meaning and purpose to their lives. This is the mantra which should be followed by engaging employees. 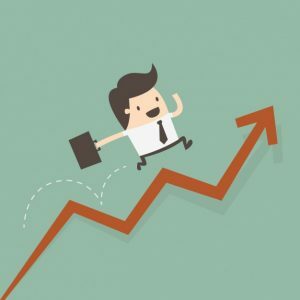 When employees feel that a company is invested in their growth, they are more committed to their role and more connected to how they impact the success of the company. The final bubble which I want to pop is that a brand name is not enough to keep and engage employees. Sure, if tomorrow you go and purchase a Jimmy Choo heel, you will be inclined to use it or gift it to your partner. But, imagine, if the leather chips off? Or the heels break? Will you still continue buying from Jimmy Choo? Well, I hope not. It’s essential for the brand to live up to its name, ALL the time. Otherwise, employees will shift loyalty. After all, employees are your first customers. A well thought out, employee engagement program considers the individual strengths and weaknesses of the employees, tries to customize work assignment accordingly and build the employee’s career while building their Company’s castle of dreams. How do the Leading Organisations keep their Employees Engaged? Why is that some companies are considered great places to work? They have a stellar reputation, and to add to that the employees of the company never have a complaint. Do these companies have some magic solution to employee engagement? No, because there is no magical solution. If you try to replicate the efforts of these companies, without understanding your own employees you will never receive the same results. But these giants do have something in common- they understand that employee engagement is a key business strategy which is a responsibility of everyone and not just the employee. It’s worth reflecting and understanding what made the employees of these corporations tick. Google has been very careful of the culture which they create inside their organization. One big chunk of this culture is that it is based on transparency. They have successfully implemented breaking down of barriers. This has helped employees, to feel empowered and share their creativity. Google, has formalized that employees should spend 20% of their time, not working but engaging in activities of their choice. Ultimately the idea is to create a culture of getting work done the right way. Organizations which focus on transparency, engage employees more than those of who don’t. Employees like being a part of something where they are kept abreast of developments and shortcomings, this makes them feel a personal connection with the company. Today, when it’s about competing and getting things done, companies often overlook “how” were things done. American Express changed the trend 25 years ago, by equally weighing the “how” and the numbers. In order to create a proud culture, one needs to understand the impact of their behavior. It may not be possible to reach the top otherwise. Behaviors are a mirror to how we think and act with others. Understanding the impact of behaviors helps understand employees at an emotional level, which is where engagement takes birth. Successful businesses do pay attention to this factor and therefore, learn to value employees as people. You can’t have someone bringing in the bread for the company and then behaving really badly with others. It simply destroys harmony and culture. Thus, the high performers in big companies understand the responsibility they shoulder. 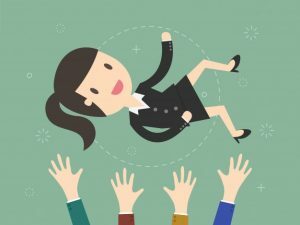 Employees who are invited to be involved do feel more empowered and are eager to take on more responsibilities to achieve the best for the company. Hyatt- the Hotel chain, has cracked a full proof way to engage their employees and keep them engaged. They empower each employee, by listening to them, and the guests too. Employees are encouraged to come up with solutions and solve problems using novel ways., making the associates and guests feel special. Hyatt is known for high employee turnover. And the focus it gives to the development of each associate plays a big part in this. The commitment placed on employee development helps trigger their inner motivation. Also, continuous improvement with constant change helps inch closer to success. The Virgin company has more than 39,000 employees, working across 35 different companies. Despite being a multi-industry organization, the unity of this name upholds is commendable. Virgin, has found that listening to their employees, goes a long way in showing them that they are valued. Encouraging healthy debates, help to exchange ideas and continuously innovate. Listening is a two-way street, people cannot only listen to respond, but to understand. It creates a win-win situation, as the organization keeps learning, and the employee feelings of recognition increases. All these tactics, and strategies, have one common central part. You know what it is? Yes, that’s correct, the way you perceive and treat employees. If you treat your employee as a human first, and workforce next, you are more likely to triplicate their engagement. What can Start-ups do to Achieve Employee Engagement? Let’s be honest, hiring an HR professional may not be a top priority now. It may seem like hiring a maintenance crew when the rocket is not ready to launch. Developers, marketers, and coders are the ones getting the appointment letters as of now. But at the same time, you are aware of the importance of a driven team, and its ability to make or break your hot business idea. 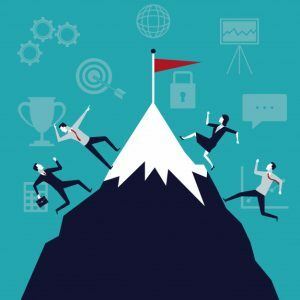 You may be falling short or funds to spend on employee relations now, but you know you need to convince your talented crew to work at their best possible front. Fuelling them becomes all the more important, because of their lower salary and uncertainty of the company’s future. It will be easier in the initial months, for they share your vision, but the challenge will be to keep this flame from burning out. The priority is to make your employees feel they belong. In order to achieve this, building teams are the foremost thing to do. Encourage teams to have their own values, assign group projects and take those team photos. Create an environment, where employees can use work and fun in the same sentence. Have board games stacked up in the canteen so that people can bond over those Taboo words, and Poker faces? Another fun way would be to have theme office days. For instance, have a pot-luck luncheon at your office once a month. 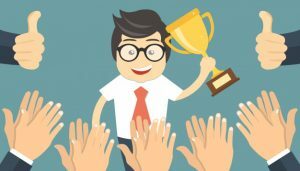 Recognition is one of the primary driving forces of employee engagement. Recognize efforts of your employees and acknowledge them. Address these achievements in your morning meetings, make them feel like they are making a difference. Or, have a green board put up so that these efforts can be rewarded. Nothing can be more demotivating than seeing old office spaces, with no color around. Add color to your office space. It can be small changes like colored coffee mugs instead of the boring white ones. Or, simply adding colored post-its and papers for jotting down discussion points. Expecting employees to give you all their time is unrealistic. Make sure you encourage their individualities and support them to work on their personal projects and hobbies. This makes them feel cared for. Another great way to create a win-win situation would be to make employees discuss their personal projects with others. This will help them discuss new ideas, which may benefit them to brainstorm ideas for your company. Ensure, however, that these ideas are implemented in addition to work done. It cannot only be about coming to the office to win a round of your favorite game. A balance has to be struck between duty and fun to keep them engaged. 5 Key Employee Engagement Strategies to implement today? Without much further Ado let me share with you the five strategies you can use. What’s the bonus, you must be wondering, these are cost-free. You may already feel you’re one, if you do, you are halfway there. The next step is to know how to show it. Let your excitement be contagious so that people catch on with it. Whether you are the sole member or a team of co-founders. 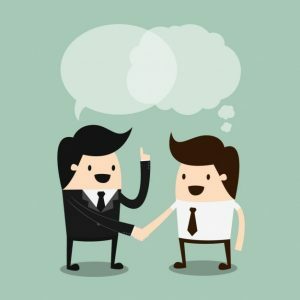 You have got to promote your company and skyrocket your idea to your employees in your own unique way. When you do this, however, keep your expectations a reality. It’s not possible to make your employees feel the same amount of drive you feel towards your company. View it like having a baby, you feel the need to obsess over it because it is yours, others will find it adorable and attaching but can never reach your pedestal. The key here is to find people, who already feel 50-60% attached to your company so that you can cultivate that to a 70-80%. The idea is to show you care and are there to offer inputs when needed. Take time out and find what’s motivating your employees to work, and why they perform better in one task and not the other. If you think it is too time-consuming, let me assure you it is worth it. -Henry Stewart, Founder and Chief Happiness Officer, Happy Ltd. The best way to make an employee recognized is to notice their efforts and boost it by appreciating them. You could install an Employee Shout-Out board, to track their big and small achievements. But do ensure you don’t over-do to an extent that the employees don’t feel the need to improve. Reiterate your position as a leader, by focusing on team building, don’t be a bully or an annoying professor, who finds flaws for the sake of it. Do critically evaluate business meetings and ventures, encouraging inputs from all employees along with suggestions. 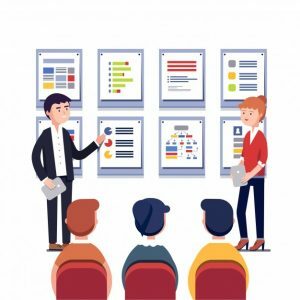 You may think of a dozen criticisms while the presentation is on, but hold on to it, structure your feedback and deliver it in a holistic manner. This makes the employees feel that you listen and are not trying to undermine their efforts. Don’t be the boring boss, who pushes employees into activities where they attend a seminar half-asleep. Be the fun boss, who caters to their interests and well-being. How do you know but what your employees want? Arrange activities according to their interests and not your own. A tip: Be impulsive, don’t make it a Friday evening ritual. Find fun activities which all your employees will love, how about a game of poker over lunch? Or maybe plan a day-out to the gaming centers? Team up and build teams in the process. It’s sheer fun and not a sugar-coated way to make them work. It’s important for you to be in contact with the development and happenings of your baby’s life, but it’s equally important for to you to pick the right person and delegate the responsibility. The people you hire should be mature to handle situations of conflicts and crisis. Hence, for this having the morning meeting, I spoke about earlier may prove to be the most noteworthy of approaches. Afterall, you only have two hands. It’s emphasized again and again to treat employees as people first, but go a step ahead and treat them as your own people. Remember their birthdays, give them sick leaves, add bonuses if they impress you. These small things and efforts go a long way to make your employee feel social and cared for. Another strategy would be to celebrate cultural festivals and give them small gift hampers. This will not show your cultural intelligence, but also create a culturally competent environment. Who doesn’t like being recognized for their efforts? Being a manager and the driver of your company engine, it’s up to you to make sure everyone gets their chance to be on stage and feel indispensable. Small rewards will create huge impacts. 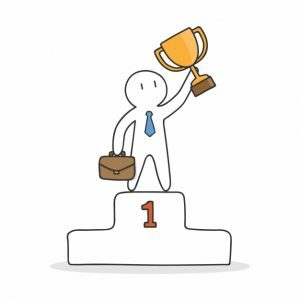 Put in place a reward system for “employee-of-the-month”, you could award this individual with a small trophy or medal to commemorate his success. Or, ensuring a fair system where hard workers are identified and promoted will also help motivate others to perform. Being trendy is synonymous with being up to date and informed about the world around. So, what is the talk of the town on employee engagement? What new strategies have been brought to light? And more importantly, which ones have become outdated? Not having a clear career path, makes employees apprehensive about their growth and like I mentioned, stagnation is a nightmare. Companies are finding out that the workforce which senses that there are no more opportunities to grow in the company are more likely to leave. Focusing on this line of thought this year can help you not only retain, but create a symbiotic situation for both your company and your employee. Make an effort to talk to employees about their dream careers? Their dream work-spaces? And accordingly, facilitate whatever opportunity you can. Research suggests that re-engaging old employees is 25% cheaper than to create new engaged employees. What’s more? The old employees are experienced and are already an asset to your company. It’s equivalent, to rediscovering your old savings account and finding that you have a bonus interest payment from your bank. The older employees with their expertise can make excellent mentors and role models for other employees. With the new age realization of investing in one’s health, this year rediscovering the magic of old is gold, can help create value for your company. I know it’s not a new concept- then why is it a trend? 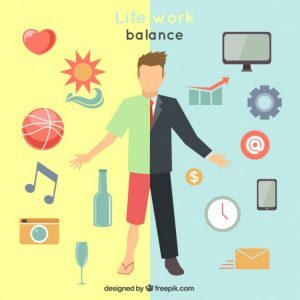 It’s rediscovering its importance, not in form of table tennis tables, and break rooms, but in form of actually incentivizing work-life. More and more employees want the flexibility of working from their area of comfort, to not be too engrossed in work, and to catch up with their lives outside the office. And a new trend of applying for consultancy jobs or freelancing is to achieve this flexibility. The Millennial, I guess, want to be in control of their time and life always. Being more engaged requires effective and regular communication. In this year, where people turn to new fads and influences every day relying on one annual survey, will not break any deals. Another factor adding to the death of these surveys is that with social media, employees are more involved in each other’s lives, and the need to fill out a formal survey just for the sake of an H activity, let’s face it, is not appealing nor honest. Talking about feelings of employees in one to one meetings, and collecting constant feedback in a non-judgemental culture, is the way to move forward. So get your pulse surveys in place, and purchase more open signs for your CEO’s office! So, that’s it. Now, you know the ABC’s of Employee Engagement. Engagement is more than Satisfaction-Measure employee engagement to improve it-Use your Office Space cleverly-Balance it out in payments-Take care of your employees-Identify Inspiring Leader-Learning from the giants can never go wrong-Knowing is not enough-Act on it! You can start by selecting small ideas, and see their effect on your employees. Make sure you measure before you draw conclusions. Ask your employees what they want, and start working with them! Let us know if you have innovative strategies for engaging your employees, and how you came up with the ideas? A nice summary, well done. Thank you so much for your valuable comment. A very well written and easy to follow piece. I have to admit that I didn’t think it was possible to make something so simple so complicated. I was amused thinking about the author being given the green light to implement all the recommendations here in even a medium size company. How exactly will you change so many people and how long will it take and how will the success be measured? Herein lies the problem. There is no end to opinions on how to deal with employee engagement, nor are they any stories of anyone accomplishing an employee engagement transformation. Examples of companies with great EE are of no help to those looking to transform their company’s EE. The studies are nothing more than conclusions based on research. Other conclusions from the same data are also possible. For example, none of the Gallup reports identify a company having transformed EE. They imply it, but nothing in the data supports reaching their conclusion that a transformation has occurred. Companies scoring in the top EE quartile perform better than the companies in the bottom quartile. Cool, except that the better companies have better leadership, products, customer service and employee engagement. However, the engagement is the result of working for a successful company and not the cause of the success. So what conclusion is more reasonable? Thank you so much for your insightful inputs. 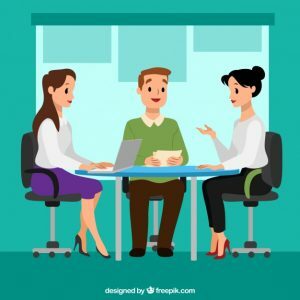 Pingback: How to Engage your employees during Performance Review? Pingback: Why are your Top Performers leaving? Pingback: How To Separate Performance Reviews & Compensation Discussion? 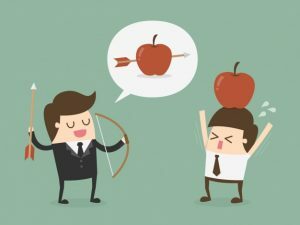 Pingback: How To Separate Performance Review & Compensation Discussion?